This was just a bit of fun… bought this at auction a while back. Wasn’t expecting much, but it was an opportunity to see what 45 years would do to a decent wine. Opened this at a party last night. As expected, the cork was a challenge. The first pour had a nose of barnyard and must and the initial taste was thin, a bit oxidized and closed… but, if you can believe it, this ol’ gal still had enough structure to require time to open up. After an hour, a nose of sour red cherry began peeking out. The tannins were still very present and it had good acidity. Several of our guests tasted the wine and were not particularly impressed, but some had a background with French wine and understood it well enough to appreciate what it was. We added a cheese plate to the tasting and it handled the cheese well. So, now it’s the next day. I let the bottle sit on the kitchen counter and amazingly – it is still holding up! It is too watery, the fruit is almost gone and it is a touch oxidized, but all-in-all… a surprisingly decent wine after 45 years. Right after pop, disjointed nose and palate of strong alcohol. Takes 30-60 mins. to blow-off. After a couple hours open, fruit forward nose of plum and black currants, with a bit of mint and the alcohol is still prominent for 13.5%. 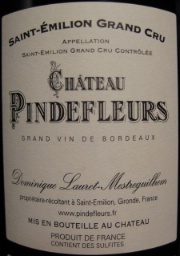 High tannins – typical of a young Bordeaux, but not as refined as the better wines from St. Emilion. Medium high acidity and a light texture. Very little fruit on the palate, mostly bitter chocolate from beginning to end. There is a bit of underlying minerality. 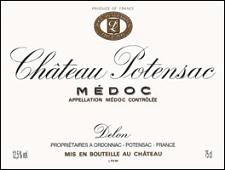 This wine does not have a particularly balanced approach and very little complexity. It is crying for a steak to accompany it, but will not add to the flavor, just clear your palate between bites. Not unpleasant, but not enjoyable either.